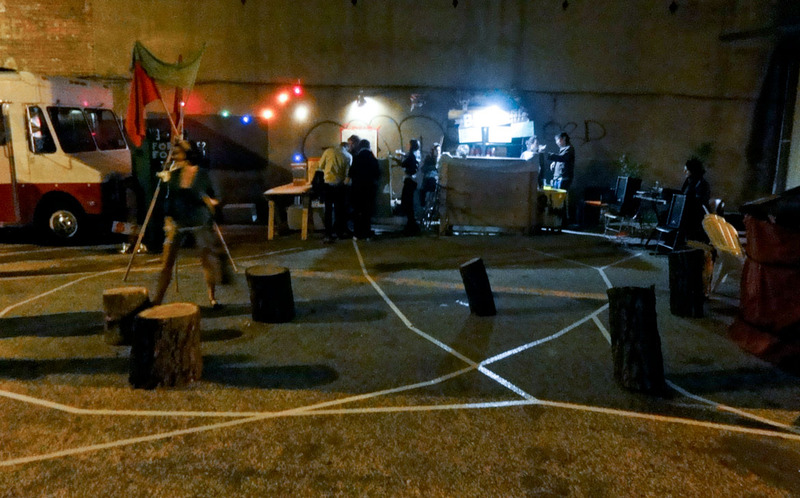 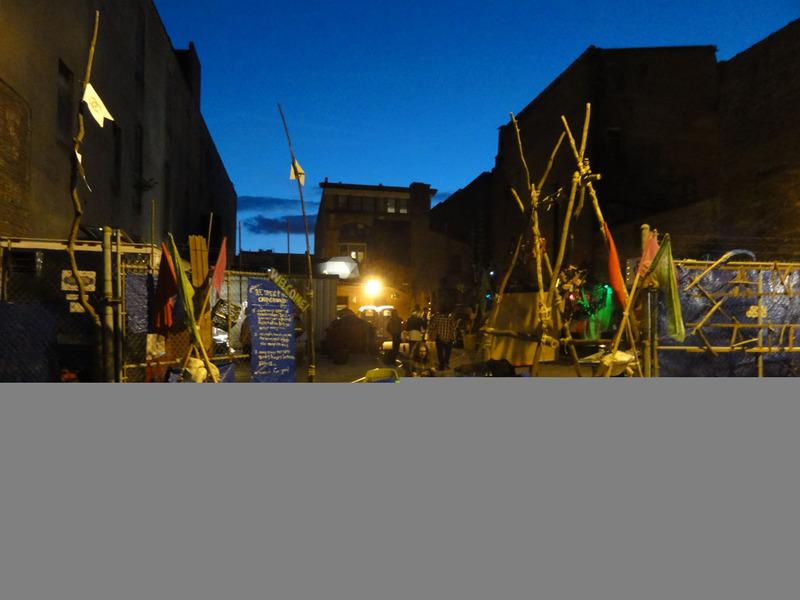 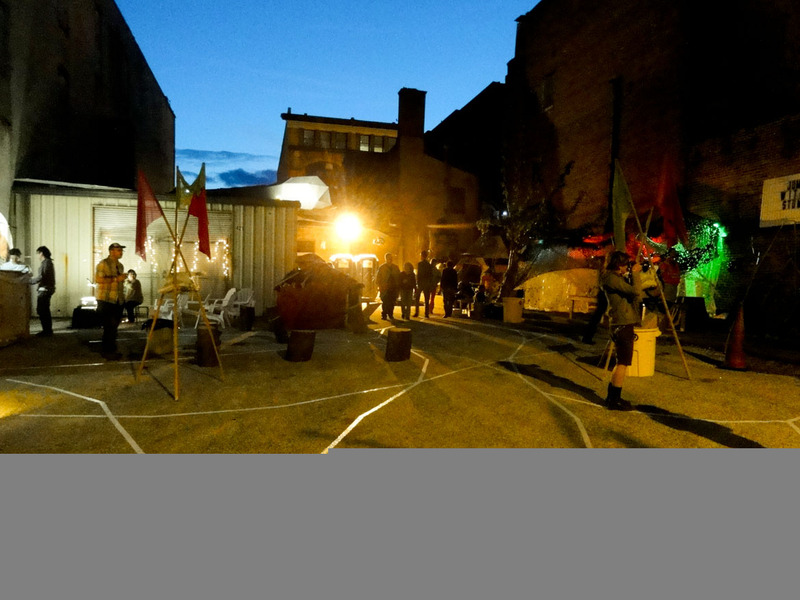 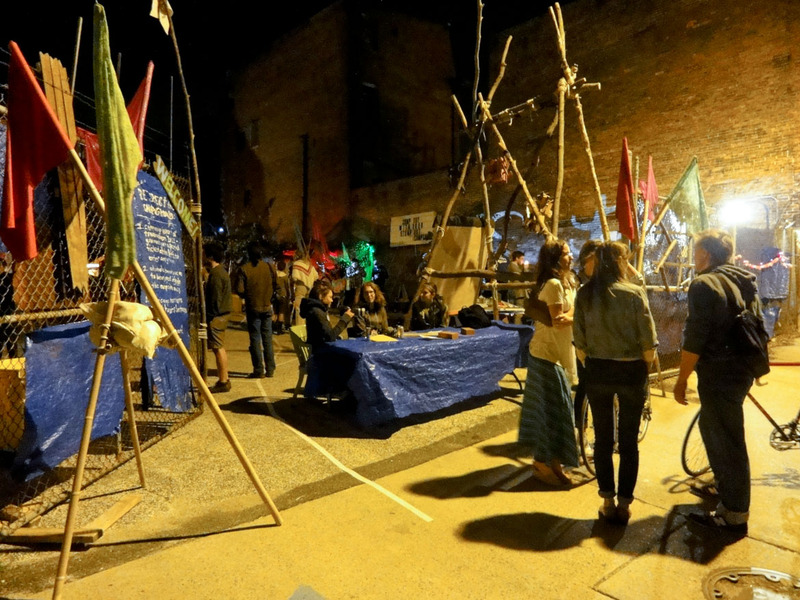 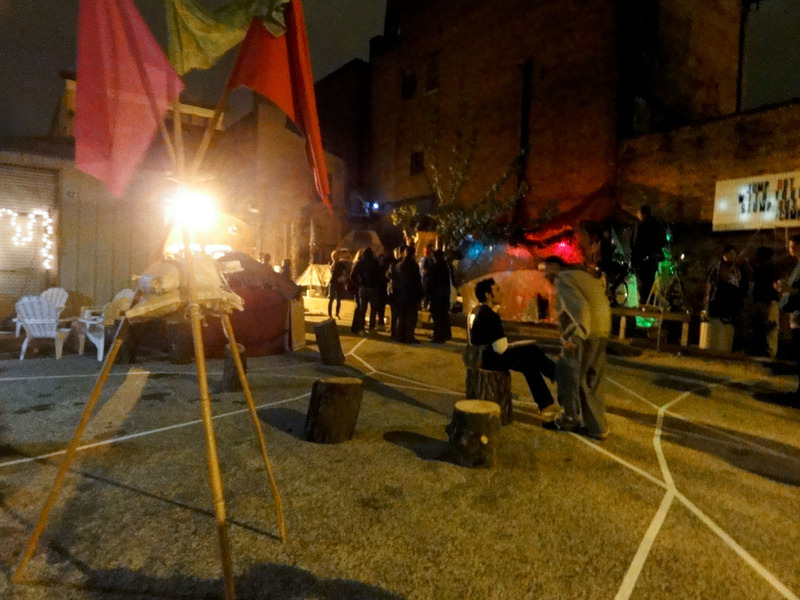 As a part of the 2011 Transmodern Festival, campcamp was a temporary, outdoor collection of installation and performances behind the Current Space gallery. 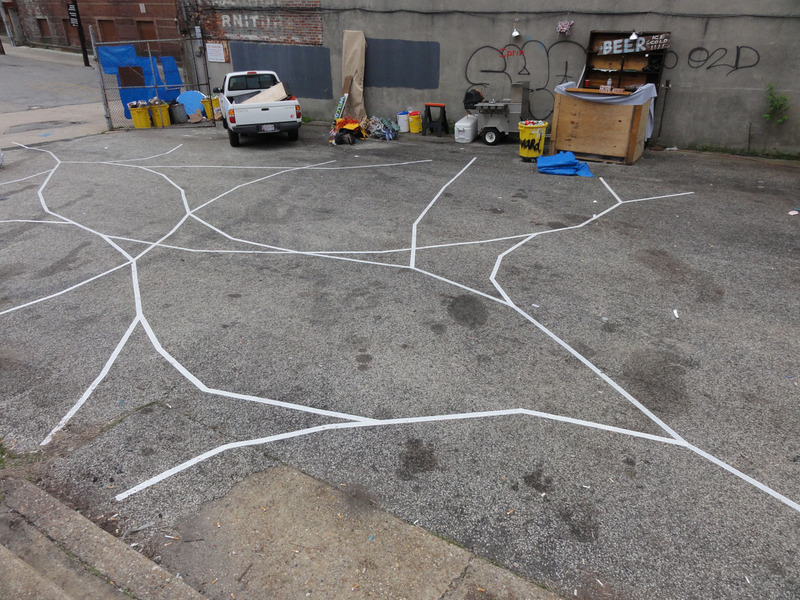 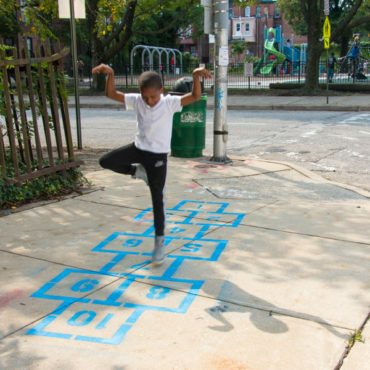 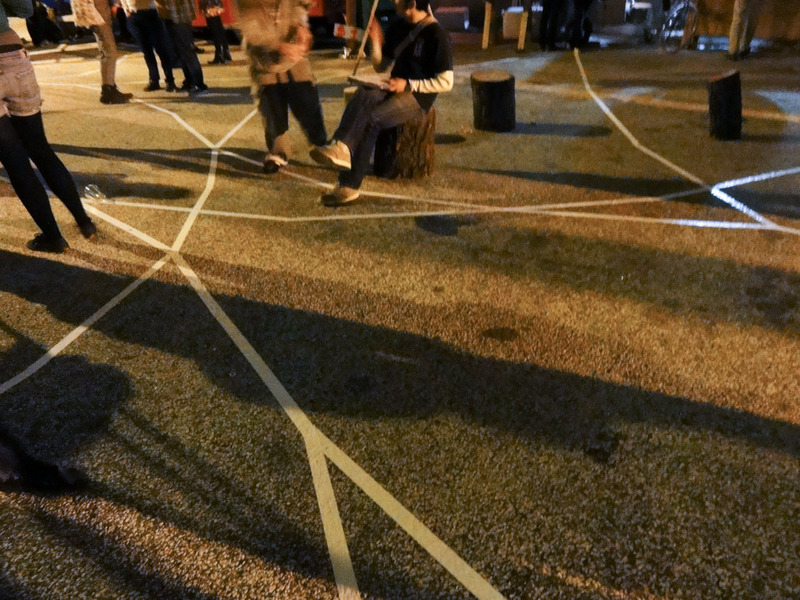 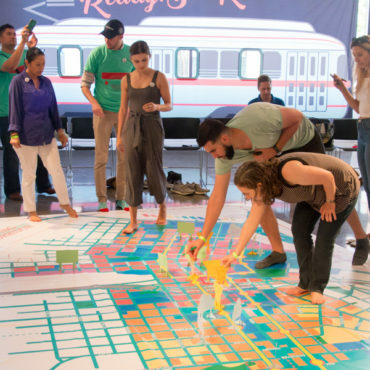 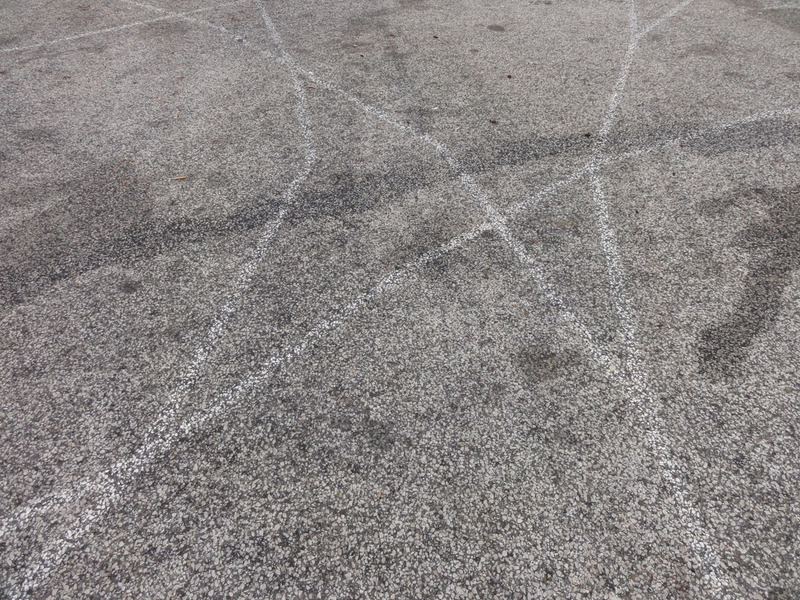 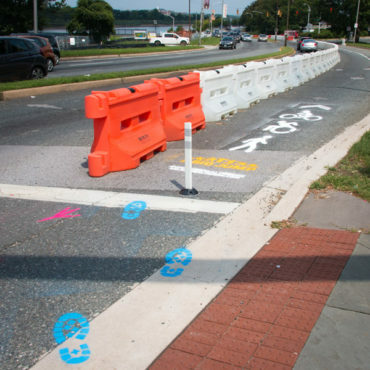 Artists created environments that, “embraced the participatory and the habitable while expanding on standard campsite deliverables.” The Urban Surface Map – campcamp Tapeway was a site-specific map of paths, thresholds and gateways made from adhesive tape. 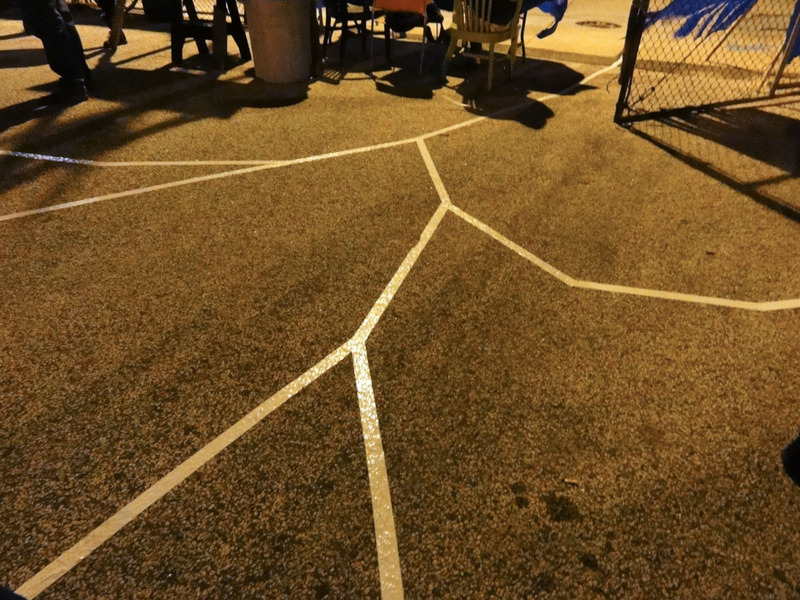 Streaks of colorful artist tape traced movement among campcamp sites. 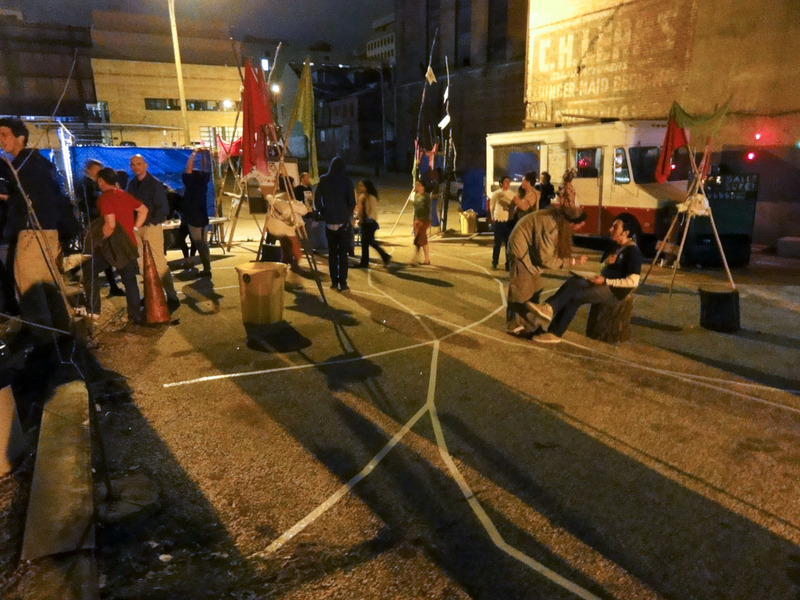 Meanwhile, the colorful Tri-Flags tripods mark entry into campcamp from Tyson Alley. 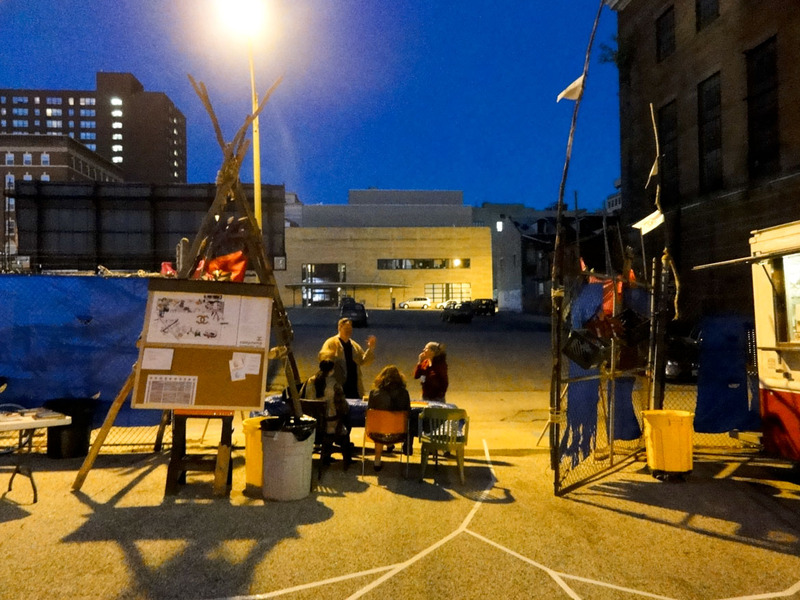 Campcam was organized by Marian April Glebes, in collaboration with Fred Scharmen and C. Ryan Patterson.